Girl Scouts is the world's preeminent organization dedicated solely to girls "all girls" where, in an accepting and nurturing environment, girls build character and skills for success in the real world. In partnership with committed volunteers, girls develop qualities that will serve them all their lives, like leadership, strong values, social conscience, and conviction about their own potential and self-worth. Girl Scouts is a "girl-led" organization where girls discover the fun, friendship, and power of girls together. Girl Scouting helps girls develop to their full individual potential through a myriad of enriching experiences, such as extraordinary field trips, sports skill-building activities, community service projects, cultural exchanges, and environmental stewardships. More than 50 million women in the U.S. today are Girl Scout alumnae. 64% of today's women leaders in the United States were Girl Scouts and 82% of our high-achieving alumnae believe Girl Scouts influenced their success. Girl Scouts of Northeast Texas accepts donations. Donate Now. 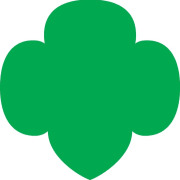 Would you recommend Girl Scouts of Northeast Texas?